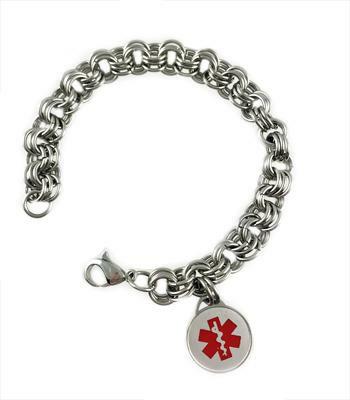 ALL Stainless Steel Round Medical Charm bracelet. Bracelet features 7mm "Triple-Links" surgical stainless steel chain and Stainless lobster clasp closure. For Girls, Women & Teens! Wear this style 24/7. No further discounts on this 316Lstainless triple link product. 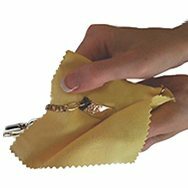 Price includes chain bracelet with one Elite stainless round medical charm with Traditional etched engraving and lobster clasp closure. Wrist Measurement + 1 Inch = correct double links bracelet size. Engraving: Please type your info in UPPERCASE letters as this is how it will be engraved. Thank you.